Branislav Gosovic worked at the U.N. Conference on Trade and Development (UNCTAD), the U.N. Environment Programme (UNEP), the South Commission and was Officer-in-Charge at the South Centre in Geneva (1990-2005). 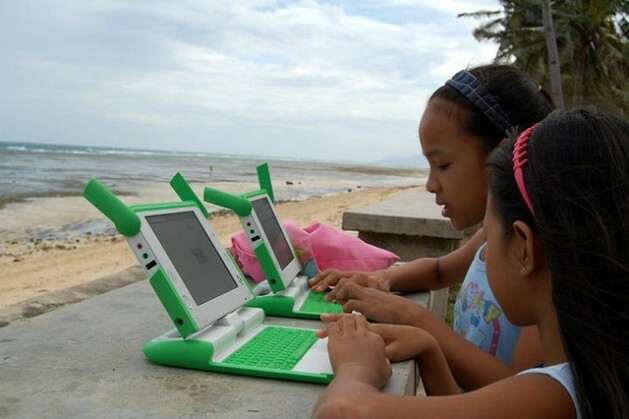 Children surf the net in a remote island community in the Philippines where fishing is the main source of income. Credit: eKindling/Lubang Tourism. VILLAGE TUDOROVICI, Montenegro, May 21 2015 (IPS) - More than four decades ago, the Non-Aligned Movement (NAM) launched the concept of a New International Information Order (NIIO). Its initiative led to the establishment of an independent commission within the fold of the U.N. Educational, Scientific and Cultural Organisation (UNESCO), which produced a report, published in 1980, on a New World Information and Communication Order (NWICO). Incomprehensible to the general public and not suitable for consideration in multilateral policy forums, the Internet governance deliberations have largely been under control of the world superpower and its cyber mega-corporations from Silicon Valley. The report, titled “One World, Many Voices,” is usually referred to as the MacBride Report after its chairman. The very idea of venturing to criticise and challenge the existing global media, namely the information and communication hegemony of the West, touched a raw political nerve, apparently a much more sensitive one than that irked by the developing countries’ New International Economic Order (NIEO) proposals. A determined, no-punches-spared counteroffensive was launched by the Anglo-American tandem, which silenced UNESCO, effectively banning the MacBride Report and excluding the concept of NWICO from the international discourse and U.N. agenda. The neo-liberal globalisation and neo-con geopolitics tide was on the rise and reigning supreme on the world scene. The common front of the South was wavering and unsure vis-à-vis the well orchestrated challenge from the North and its multilateral arsenal deployed via the Bretton Woods and WTO troika – and, indeed, via the global media it controlled. On the defensive and in retreat, with individual countries and their leaders targeted, pressured and tamed, the Global South lowered its profile and, facing stonewalling developed countries, it effectively shelved much of its 1960s/1970s agenda, including its quest for NIIO. A decade ago, at the World Summit on the Information Society (WSIS), the developing countries did not have the collective will and were not prepared and organised to raise and press these broader issues. They focused on the “digital divide”, as their key concern, which, although important, was not politically sensitive and did not represent a challenge to the existing global information order. The rise and evolution of the Internet found the South ill-prepared to deal in a comprehensive manner with its implications, challenges and opportunities that it presented, not only for the developing countries individually and collectively, but also for the world order – economic, information and political – and for humankind in general. The U.N. was marginalised and not allowed in depth to analyse and in an integrated, cross-sectoral and sustained way to deal with the Internet, and as a result did not provide a focus and platform that could have prompted and assisted the Global South in building and evolving its own case and vision. The Internet-related debates and analyses have largely been focused on and limited to highly specialised and technical, often esoteric, acronym-dominated questions of its governance, which, though of vital importance, has helped to conceal or bypass many fundamental concerns. Incomprehensible to the general public and not suitable for consideration in multilateral policy forums, the Internet governance deliberations have largely been under control of the world superpower and its cyber mega corporations from Silicon Valley, and the US-centric nature of the Internet has been defended tenaciously and preserved. The WSIS+10 Review will be taking place shortly. There is an apparent attempt by the West – assisted by its transnational corporations (TNCs) dominating and providing key services on the Internet – to minimise the political importance and limit substantive outputs of this event. The Group of 77 (G77) and NAM have to focus not only on the non-implementation of the Tunis agenda, but also to work out their position concerning the basic, underlying issues, including the linkages between the Internet and the international development agenda, and, more broadly, the Internet’s relevance to the international economic and political order and world peace. There is the risk that WSIS+10 Review may turn out to be a missed opportunity for the South, and yet another encounter forced to remain within the parameters drawn and preferred by the traditional, well-entrenched masters of the global information and communication order. WSIS: More Internet, Less Poverty? Waiting one more decade for the next WSIS+20 Review may not be a recommended approach given the global economic and geo-political trends. This relative circumspection of the Global South regarding the nature and future of the Internet is compensated in part by the voices coming from some sectors of the civil society that dare stray beyond what is allowed and permissible under the reigning global paradigm. Thus, for example, the workshop “Organizing an Internet Social Forum”, held at the 2015 World Social Forum (WSF) in Tunis, articulated an alternative vision of an Internet and its directions for the future radically different from the current dogma. And, an international conference on the Internet as a Global Public Resource was recently hosted by government of Malta and DiploFoundation. “Global public resource” is a term akin to “global public goods”. The latter is a concept first launched by the U.N. Development Programme (UNDP) but expurgated from its work and the U.N. discourse during the recent period, probably seen as unsuitable and a threat to the ideological purity of the privatisation gospel, a move to accommodate the political predilections of dominant elites and the current doctrinaire aversion to anything “public”. To move the global debate and multilateral negotiations in a desired direction largely depends on the developing countries as a collectivity, the Global South. These countries need to grasp the gravity of the systemic issues involved, on par and indeed in some ways more important than those of the traditional international economic, financial, political and social agendas. The moment is ripe for them to brush up on the original NAM NIIO initiative and the Report of the McBride Commission on NWICO, and consider their relevance in the age of the Internet. They should work on an alternative vision of the Internet, its functions and governance, which should evolve into the backbone of a future global information and communication order needed in a multipolar world of the 21st century. Currently, the Internet remains a prisoner of the dominant neo-liberal paradigm and its mantras forced upon the planet by the Western powers and in the service of their global, geopolitical and corporate interests. It needs to be liberated from these shackles. Debate and study that view the Internet from humankind’s point of view need to be launched. This will require the Global South to do its homework in depth and fully on the implications and potential roles of the Internet, in order to prepare its platform and press for the initiating of all-inclusive multilateral negotiations and debate. The BRICS countries together possess the necessary expertise, experience and power to provide the leadership and motor force for mobilising the Global South’s collective stand and action on the Internet. With the high likelihood that the core countries of the West will react negatively, pressure individual developing countries (as appears to have been the case with Brazil, which has lowered its traditionally forceful public stance on Internet issues), and that obstacles within the U.N. system will persist, doing something concrete independently, via South-South cooperation will be required, and indeed is the only way out of the current impasse. Here many options exist, including creating supporting institutions and expert bodies and organising regular deliberations, at both technical and political levels. Bridges should be built with the progressive civil society and possibly with some like-minded countries in the North that are not too happy with the existing system.